Having a great pair of dress shoes in your closet is not a luxury, it’s a necessity. Even men who default to casual shoes and sneakers will eventually need to suit-up. Opportunity favors the prepared. This guide is intended to help you make a wiser choice on your next shoe purchase. Once you understand the differences between the options available, you will be half-way to looking your best at any event, interview, meeting, or date that requires a formal shoe. 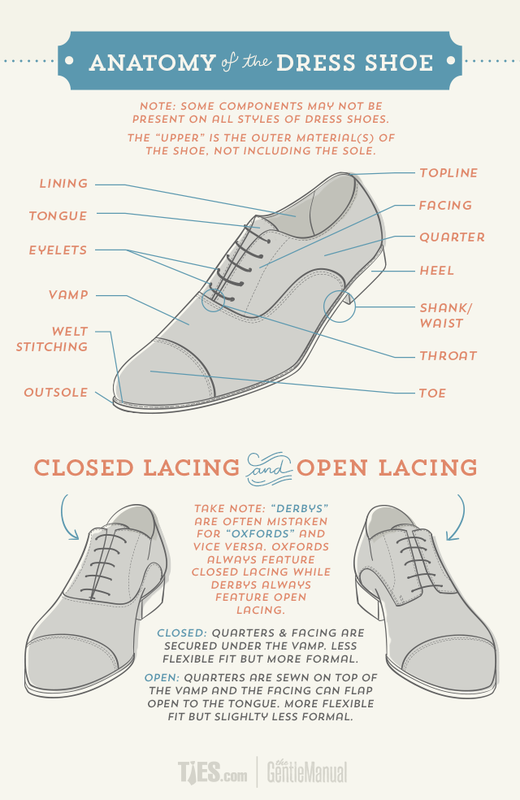 In order to understand a particular style, you should first understand the components that make up a dress shoe. 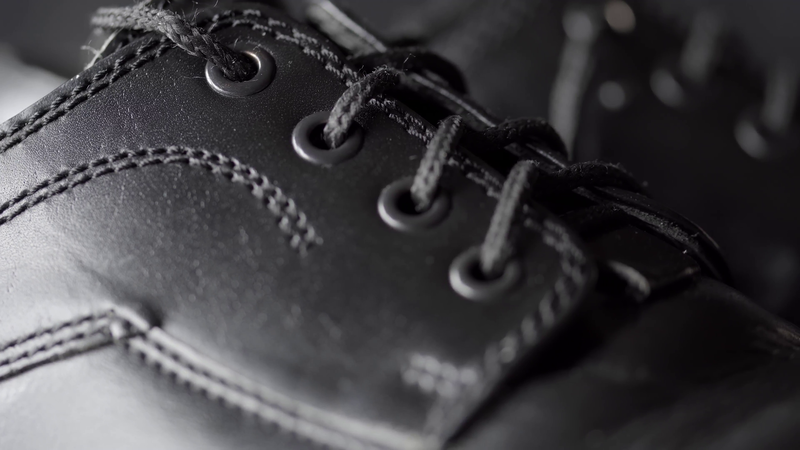 Working from front to back, a dress shoe is divided into four parts: toe, vamp, facing, and quarter. It is the placement and construction of these pieces that help give a dress shoe its individuality.